Listen & Subscribe on iTunes and SoundCloud. One of the biggest things that separates successful careers from mediocre ones is the size of the goals being set. If you're consistently going after "easy" and "normal" goals and not seeing the type of results you'd like (fulfillment, promotions, raises and bigger opportunities), it may be time to re-assess. 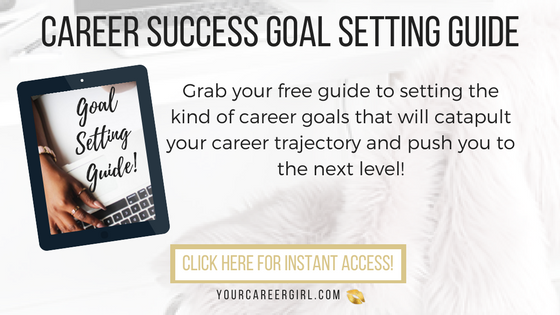 There really are levels to goal setting and before you can begin to focus on taking your career to the next level, you've got to get serious about your goals. In this episode, you'll learn my top tips on setting career goals so you can tap into the type of career you know you're meant to have.